THE body of a Bulawayo man is still stuck in mortuary three months after his death as his family members continue to fight over the issue of cremation which some family members consider as alien to their culture. 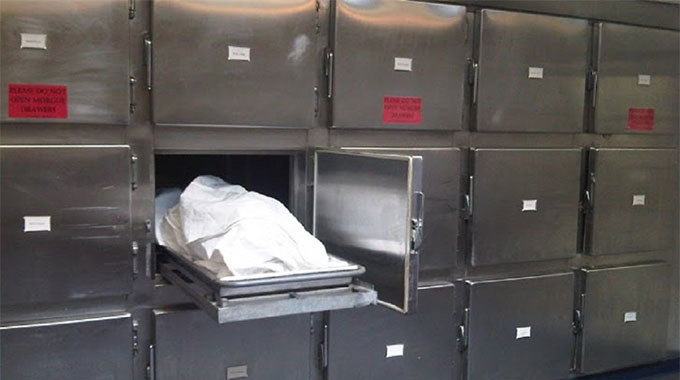 The deceased, Mr Amos Nkomo, died on December 31 last year and the body is stuck at Farley Funeral Services parlour in Bulawayo, with his surviving spouse and daughter demanding cremation while other members are opposed to it. The dispute has once again spilled into the courts. Mrs Zulu and her two siblings Ms Rhoda Nkomo and Esnath Nkomo, through their lawyers Coghlan and Welsh Legal Practitioners, filed another court application at the Bulawayo High Court barely two months after their first one was dismissed as not urgent by Justice Nokuthula Moyo. In dismissing the urgent chamber application, Justice Moyo ruled that there was no justification for the matter to jump the queue, saying the applicants failed to show any risk of irreparable harm. In her latest ordinary court application, Mrs Zulu cited Mrs Nkomo and Farley Funeral Services as respondents. Mrs Zulu and her sisters want an order directing the respondents to release the body of the deceased within seven days. They also want Mrs Nkomo to foot the legal bill and the accumulated mortuary storage fees. The applicants however, said they would bear all the costs associated with the burial. “This is an application for burial rights specifically for the order that the remains of the late Amos Nkomo who died on December 31, 2018 be buried according to our family traditions and customs as opposed to cremation which is sought by the respondents. The remains can be buried at any appropriate cemetery in Bulawayo,” she said. Mrs Zulu argued that as the eldest surviving sibling, she has automatically assumed the patriarchal head of the family status, which requires her to preserve their cultural rites. “The deceased whose remains are subject of this application was our blood brother. In that regard we had a bloodline bond with him. Over and above, we are bound by long standing family traditions and customs on such issues as burial rights. As siblings, we have a family and cultural obligation to deal with our brother’s remains in accordance with known family burial rites,” she said. Mrs Zulu said although her sister-in-law by virtue of being the surviving spouse is the intestate heiress to her husband’s estate, she however, did not have exclusive rights to determine on the burial aspect. Since the death of Mr Nkomo, the family has been locked in a protracted legal dispute over burial rights resulting in accumulation of mortuary storage fees.